To all of our website followers, if you have always wanted a log home but, for whatever reason, have always set the idea aside, NOW is the best time to buy one! Morningdale Log Homes is offering a very special discount on any log or timber frame home package for which a 20% deposit is made before December 31, 2017, and delivery to be taken by April 1, 2018. This special offer cannot be used in conjunction with any other specially priced models, for any of our Cabin Series models or with any other discounts. This offer is ONLY available through Morningdale Log Homes and will end December 31, 2017! So, if you are in the market for a log or timber frame home, contact us before this offer ends! We are the area’s exclusive representatives for Timberhaven Log and Timber Homes. We are local, so we are always available to provide personalized service to our Clients, both before AND after the sale. We listen to our Clients and offer money-saving advice whenever possible. We offer quick estimates, usually the same day. We can do most custom designs in-house without our Client having to “wait in line” for a corporate design engineer to do it. Log and timber homes are our only business and our specialty. We are willing to show you our Clients’ homes. In fact, our own home serves as our model home as well. We are recognized experts in our field and are frequent Guest Speakers at log and timber shows and home shows. We own and live in a log home. Most log/timber home salespeople do not even live in a log/timber home – how can they truly tell you what log home living is like?! We care about our Clients and help make their log home dream become their dream log home – just ask them. We have received awards from Timberhaven Log and Timber Homes in each of the past two years for our superior contributions. We support numerous local community organizations through donations of time, money and goods. We are with our Clients after the sale with support and advice. We edit, publish and distribute the popular periodical, Log Living Gazette©…at no cost to our readers. We have our own YouTube Channel featuring an ever increasing number of informative videos we produce. 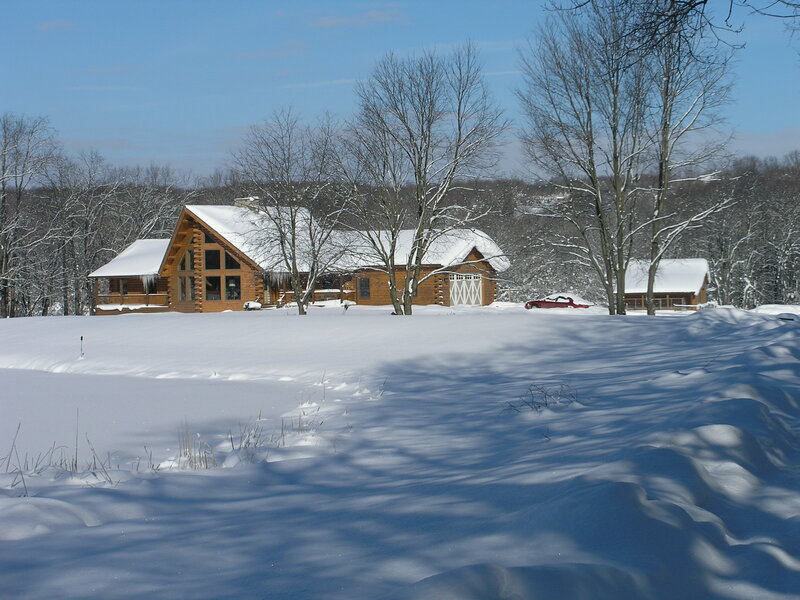 We edit, publish, update and distribute our informative presentation, The ABCs of Log Homes©. We were once like you. We researched for 30+ years before we decided to build our dream log home, and have loved every minute in it since.